Teaching With Love and Laughter: Journeys Linky Party! 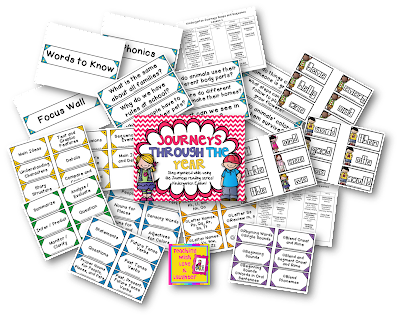 I am linking up with Ms. Kerri and her Krazy Klass, to share my Journeys resources. It looks like a great series and I am very excited to use it. I teach kindergarten and first grade and I am very prepared for this new Journey. This is my Journeys Through the Year for Kindergarten. You can read all about it here and see it in my store here. This is my Journeys Through the Year for First Grade. These packs contain everything you need to start the year off organized and ahead of the game and they will help you to stay organized and focused all year long. 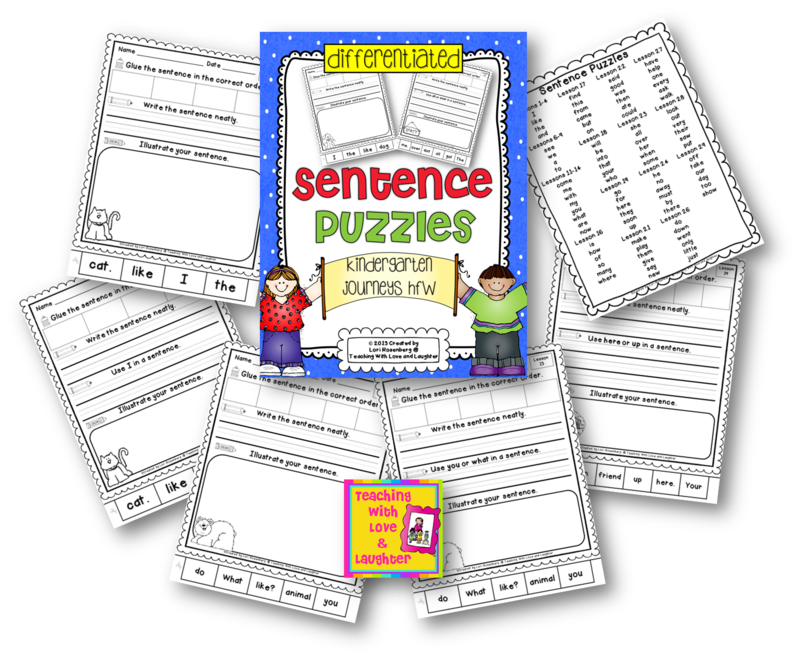 I also made sentence puzzles to go with the kindergarten HFW. As you probably know, I have made a lot of sentence puzzles. My students love them, as do I. They help to reinforce so many skills. Plus, they can be used so many different ways. Morning work, station work, independent work, homework. And, they are differentiated to accommodate all learners. There are sentence puzzles for all 30 lessons and they are all labeled with the lesson number. To see it in my store, click on the image below. Lastly, I created 3 different games, using the kindergarten HFW. I want to be sure to have plenty of fun games on hand to engage my students during literacy work stations. Last year, my students enjoyed lots of HFW games. I made them all over for the new school year, using the HFW from Journeys. All of these games contain the HFW from all 30 lessons. 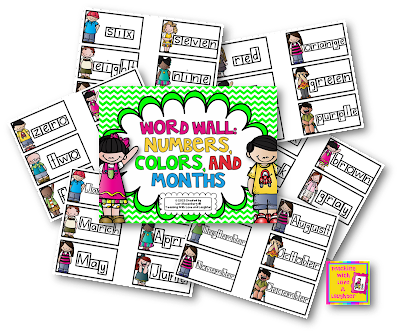 They are all labeled with the lesson number to help keep them organized, and all of them, except bingo, come in color and black and white. Bingo just comes in black and white. I usually print everything in black and white on colored paper. But I know there are people out there who love everything to be in color. To find these games in my store, just click on the links below. Or, purchase all 3 in a bundle and save 20%! So, there you have it! Lots of different options to help those of us using Journeys stay organized. And lots of fun, engaging, and meaningful activities for the children. Don't worry first grade teachers! I'll be making all of these games for first graders, too! I'd love to give someone the opportunity to win one of these 3 games. All you have to do is comment below and tell me which one you would want if you won. And, please leave your email address so I can contact you if you win. Love it Lori! Thanks for linking up. I love all your new games. I would love to win the Bingo game! My student love to play bingo..so I would purchase that one!! Hi Lori, It was me that found the Kinder boo-boo and asked if you'd make the color/number word cards.I still can't believe our kids have to know nearly 150 words! And you have them done already!! I just finished printing everything out and will go next week to the BIG laminator to get it ready for BTS!!! YAY! Of course, now I will have to have your sentence pack to go with. We were trying to come up with a meaningful homework--this could be part of it. Thanks so much for the countless hours this probably took! I would love to win the Bingo game to go with the rest of my goodies! I <3 your blog! thanks for the ink up! 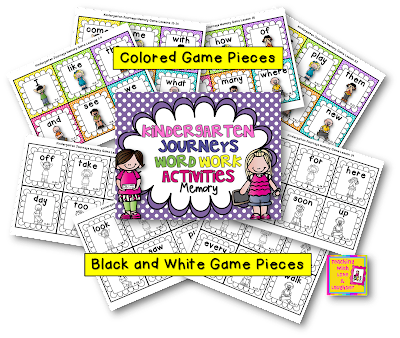 I use Journeys and would LOVE the Go Fish pack! Too cool!! Hi Lori! 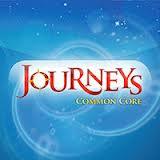 I'm moving from 2nd grade to kindergarten this year and my school also adopted Journeys this year. I'm feeling a little overwhelmed but also excited. I love all of your creations, but I guess I would choose the Go Fish game. Oops! My email is lcm06@hotmail.com. Everything looks great!! I would love the bingo game. You are amazing! I love ALL of your products! Stay tuned! Gladys, from Teaching in High Heels, is working on it as we speak! Are the sentence puzzles in the large unit? Or do they need to be purchased separately? Hello! The sentence puzzles are not part of the large unit. Just click on the link above and you'll find them in my store. Thanks! What a cute blog! Thanks for participating in the give-away! 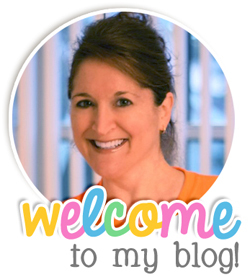 I love your blog-not only do you have great resources/sites, but you are very colorful and I like color!